Journal Journey and Joy! : My first time to make Jack-o-Lantern. Did you already prepare Haloween? My friend Jens took me to his friend's house. Then I made Jack-o-Lantern for the first time. We enjoyed pumpkin soup, Hamburger BBQ, potato fries, Local wine, and beer! 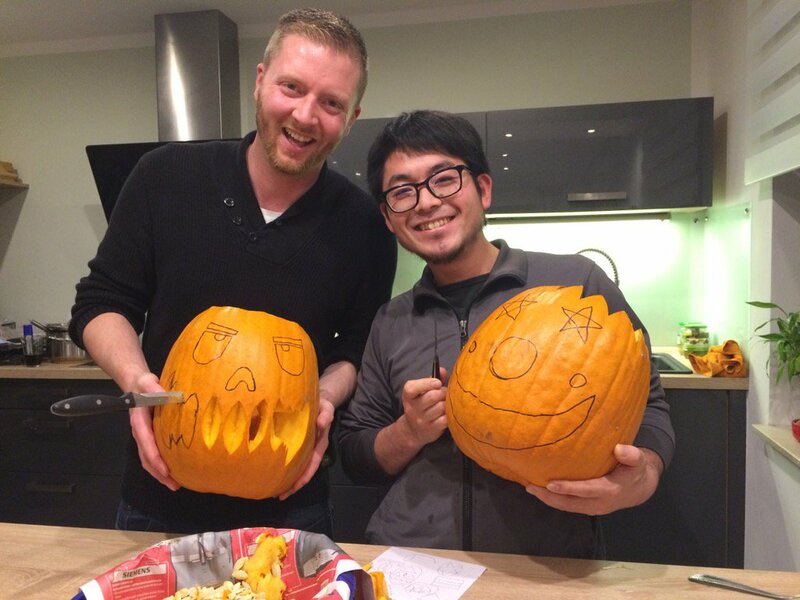 Andreas carved Pumpkin into artistic Jack-o-Lantern. Surprisingly He was also the first time to made it!! He has a talent, he can be a pumpkin cutting meister.